This week, Donald Trump was elected America’s next president. He will inherit a country that’s deeply divided by politics, race, gender, culture and economics. At FRONTLINE, we’re committed to investigating how this intense polarization — and, ultimately, Trump’s presidency — came to be. In fact, for months, we’ve been reporting on our country’s fault lines and rising tensions for our upcoming special series, Divided States of America, scheduled to air on PBS January 17 and 18. From veteran FRONTLINE filmmaker Michael Kirk and his team, Divided States investigates events during the Obama presidency that roiled the political parties and exposed simmering divisions among the American people. Airing days before Trump’s inauguration, it will offer an in-depth view of the partisanship that gridlocked Washington and charged the 2016 presidential campaign, the rise of populist anger and the war inside the Republican Party, and the racial tensions that have erupted throughout the country. The following week, on January 24, FRONTLINE will present Trump’s Road to the White House, looking at how he rallied millions of supporters, defeated adversaries, and who he is bringing into the White House with him. And of course, as we’ve always done with our presidents and our politics, we’ll keep reporting on President Trump and the many challenges facing his administration — from the evolution of ISIS, to the wars in Syria and Iraq, to the economy. 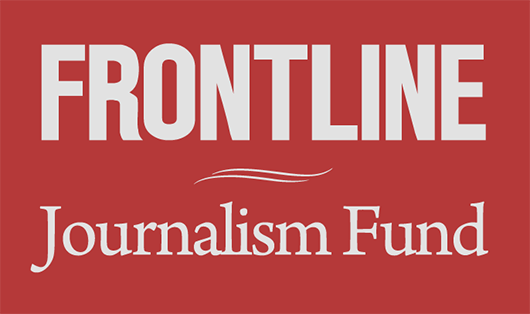 FRONTLINE has always strived for fair and deeply reported journalism, and we will continue to deliver on that promise.